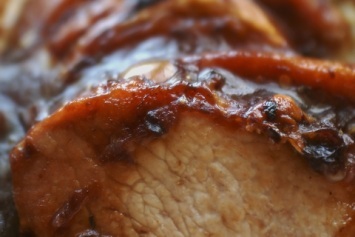 I love this bbq pork loin recipe (or pork tenderloin recipe) because it is simple to prepare and just cooks in the oven while you go off to do other things. It may not be quite a 30 minute meal, but you’ll spend far less than that putting it together. In a bowl, combine all ingredients except pork cubes. Dredge pork pieces in the seasoned flour and place them in a baking dish. Combine the sauce ingredients in a bowl. Mix well and pour over the pork cubes. Bake for 45 minutes. Great over rice or with garlicky mashed potatoes. 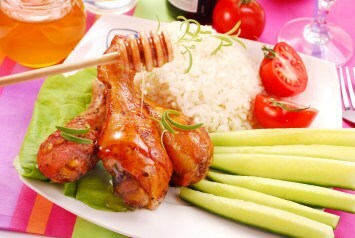 The pork barbeque sauce is not a complicated sauce, but with the seasonings on the meat, it will taste like you stood over a hot stove for hours! If you would like some garlic mashed potatoes to go with this bbq pork loin recipe, you will find the recipe here. Find all of our pork recipes here.